← Don’t Give Raw Milk to Your Pets! Prescribing of herbal medicine in the veterinary field is based mostly on folk medicine traditions, especially Traditional Chinese Veterinary Medicine (TCVM), which are mostly unproven and often deeply inconsistent with scientific medicine. Most herbalists, including leaders of the ACVBM, promote many alternative therapies other than herbal medicine, and these people often have medical philosophies inconsistent with science and science-based medicine. Very few herbal remedies have been properly tested scientifically, so there is an insufficient foundation of knowledge to justify a specialty. What scientific work has been done in this area falls naturally under the domain of existing specialty organizations, such as the American College of Veterinary Clinical Pharmacology (ACVCP), so there is no need to create a new college. Herbalism is not a recognized medical specialty in human or veterinary medicine in Europe, Australia, or the United States because it has not yet developed a legitimate scientific basis, and recognition of the ACVBM would give a misleading appearance of scientific legitimacy to a set of approaches reliant predominantly on folk traditions. The ABVS tabled the ACVBM petitionand recommended the group seek subspecialty status under the ACVCP. The ABVS process is quite secretive, so little has been made public about it, but it appears that ACVCP wished to set up a methodical and careful process to consider any potential relationship between the groups, and the ACVBM decided it did not wish to pursue this process. Instead, the ACVBM has reactivated the tabled application for standalone recognition from ABVS. The latest version of the ACVBM petitiondiffers in some respects from the original petition submitted in 2016. The original petition, and subsequent communications with ABVS, tried to emphasize the mainstream, scientific nature of herbal medicine and downplay the alternative nature of the practice. The current petition does this as well, but it seems to emphasize more strongly the differences between a science-based approach to medicine and the philosophy of herbalism derived from traditional sources. Botanical medicine looks at pharmacognosy, not from the perspective of single molecule phytochemical discovery for the development of new drug leads, but rather to validate or understand traditional medicine and how the herbs work….That the whole plant is more therapeutic than a constituent is a fundamental principle of botanical medicine supported by research. Principles of botanical medicine respect tradition as a source of empirical evidence that informs formal research design. The study of traditional use of plants within a culture is termed ethnobotany, and the study of traditional medicines is known as ethnomedicine, or ethnoveterinary medicine. Research may validate traditional uses. Research may validate traditional use, or it may not (which is more common but not acknowledged in the petition). This statement clearly shows the unscientific view that the goal of research is to “validate or understand” the beliefs of traditional folk medicine, rather than to test them and find out if they are true or not. It also accepts as a central principle the traditional notion that whole plants are more effective than isolated plant compounds, though there is virtually no real-world research evidence supporting this idea. This is encouraging, though given the background and other practices of the organizing committee for the ACVBM, I am not convince that the organization is likely to ever give priority to science over traditional knowledge if the two conflict. TCVM vets and practitioners of homeopathy and not really the most reliable guardians of science-based practice. Veterinarians using botanical medicine have a patient centered approach, whereby the botanical medicines are selected based on the individual signs and pathophysiology as well as the diagnosis. So that two dogs with diabetes for example, may be treated with two different sets of botanical medicines. This is the common claim of alternative medicine to “individualize” therapy to a greater extent than scientific medicine. I’ve written many times beforeabout why this is a misleading and empty claim that hides the fact that such supposedly “individualized” therapies are almost never scientifically tested or shown to be effective or superior in any way to science-based practices. Traditional use. The bewildering variety of ethnoveterinary practices, ethnobotanical uses and folk practices around the world coupled with confounding aspects of cultural, placebo and other non-specific effects make reliable conclusions from any one tradition difficult. Frequently however, traditional use informs research and pharmacological activity is often found to be closely correlated. There are recurring themes in traditional medicine and persistent therapeutic approaches consistent with the use of “archetypal” chemical groups within plants. I certainly agree that traditional use is inconsistent, low-quality evidence that has rarely led to definitive success in treatment. I disagree, however, with the claim that scientific evidence frequently confirms traditional use. Folk herbalism often uses plants for a wide variety of unrelated problems, and when properly tested the rare few uses which seem to have some real benefits are celebrated and the many that were useless are forgotten. Collective clinical experience over decades. There is also the clinical experience of veterinary practitioners to consider- thousands of educated veterinary practitioners worldwide prescribe herbal medicines in their work. This has advantages of being in a modern veterinary context. Veterinary practitioners of botanical medicine have written texts and taught other veterinarians to achieve repeatable results within the botanical framework. Collective clinical experience is another way of saying “anecdote,” and as the saying goes, the plural of “anecdote” is not “data.” The fact that people are “experts” in herbal medicine and have written and taught about it doesn’t, in itself, show that the beliefs and practices being passed along are correct or useful. The third data source is substantial and scientifically sound but maybe not as clinically relevant to veterinary botanical medicine. The available published literature on phytochemistry and preclinical pharmacology…[this does] not however provide confirmation of a clinical effect; experience in practice is that the effect of the whole plant is rarely predicated on the effects of its parts….it is appreciated that herbs have been dismissed by many in the profession as the refuge of the uncritical. 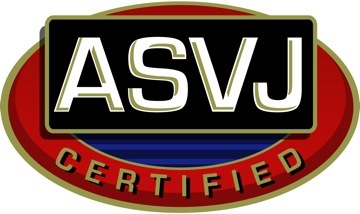 However, when all the sources of information come together and are integrated with pharmacological insights, something important happens; unique treatment strategies for treating notoriously difficult clinical problems become possible and the desire of the ACVBM is for animals to benefit from the efforts of this group to further develop the field. To be a fully effective therapy, it is not enough simply to know about the herbs themselves. Information must also be sought about how and when to use these herbs in response to various therapeutic challenges. Therapeutic approaches are different from those that underpin conventional medicine. Again, this is a position that says scientific study, including pharmacological analysis of the compound sin plant remedies, is useful, but only as a supplement to the wisdom of tradition and personal experience, which still maintains without much evidence that traditional whole-plant remedies work better than plant-derived medicines. This is a pretty direct refutation of the principles of pharmacognosy (development of medicines from plants), which I suspect is a response to the rejection of the ACVBM by the ACVCP. The universal role of plants in the treatment of disease is exemplified by their use in all the major systems of traditional medicine and ethnomedicine irrespective of their underlying philosophical premise. So because lots of people have done it, this means it is worth doing? Not a rational perspective. The practitioner of botanical medicine regards the whole formula or whole extract as the “active ” component” in the therapeutic context. The concept of polyvalent or multifaceted activity of the medicine is central to botanical medicine – in the context of the advantage of chemical complexity -and even a single herbal extract is a natural multi agent medicine that can simultaneously target a range of desirable pharmacological effects. The veterinary botanical practitioner prefers not just to prescribe chemically complex herbs, but often administers them in complex formulations, compared to conventional medicine preferring to prescribe a single drug. The practitioner chooses herbs or formulas for a cooperative or facilitating effect between the components to address therapeutic goals. Again, these are tenets of faith, not scientifically proven propositions. Philosophically the veterinary botanical medicine practitioner practices conventional medicine but overlays that practice with the use of botanical medicines in a framework of botanical principles to expand their options for treatment of disease and optimizing health. Practitioners appreciate traditional knowledge as just one potential source of information, when coupled with published research and clinical experience, herbs can be prescribed safely and effectively. 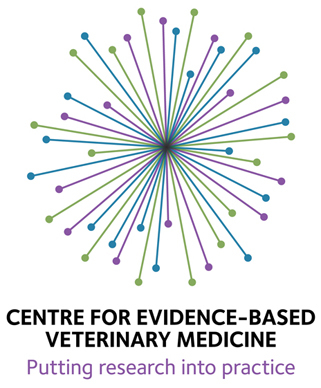 The ACVBM petition goes on to acknowledge that many veterinarians are concerned about the paucity of scientific research evidence concerning herbal medicine (though not to acknowledge directly that this is a well-founded concern). However, it then employs the tu quoquefallacy, arguing that since veterinary medicine as a whole suffers from a deficiency of high-quality research evidence, this should not be a barrier to treating herbal medicine as a legitimate scientific specialty. This misses the point, which is that we should be seeking more and better evidence, not giving up on the centrality of scientific research evidence to good medical practice. Giving the specialty imprimatur to an especially evidence-poor alternative practice only weakens the overall scientific basis of veterinary medicine. An important basis of herbal medicine is the pharmacology and mechanisms of actions of plants and plant extracts, however they differ from drugs in their complexity, and in the underlying ethnomedical knowledge base used to initiate study of them. The botanical medicine diplomate can provide context to client and referring veterinarian inquiries, from both the ethnomedical and pharmacologic perspectives. This basically suggests that the main reason herbalists should be considered specialists is that they can add the value of traditional knowledge to the scientific perspective on plant compounds. Again, this only makes sense if you presume, generally wrongly, that such traditional knowledge is useful or accurate much of the time. Nothing appears to have fundamentally changed in the ACVBM approach since I began to examine it in 2017. The ACVBM is a bit more direct in the latest petition in their claims that the primary reason they should be a distinct specialty group is because of their greater familiarity with traditional sources of knowledge about plant medicines. While they may acknowledge some need for scientific research into herbal remedies, they consistently claim that conventional veterinarians cannot effectively conduct such research without being familiar with the folk medicine approach to herbalism. This implies that scientists cannot test the effectiveness of any medical therapy without being experts in prescientific folk beliefs about it. Can we not evaluate surgery without being experts in bloodletting? Is the study of antibiotics to treat syphilis futile unless we have first-hand training in the use of the poison mercury for treating this disease? Ultimately, the ACVBM petition is simply another of the many efforts of alternative medicine to create an exception to the normal, scientific standards of evidence currently applied to medical practices. If scientific research works better than tradition or personal experience to determine which therapies are effective and why (and the evidence it does is overwhelming), then there is no need to give experts in folk medicine beliefs special status as experts in a discipline that can be readily and effectively studied with current scientific methods. I believe there is great potential for effective medical therapies in plant chemistry, and we have already realized this in many modern drugs. I also believe folk tradition has only very rarely stumbled across truly effective treatments through trial-and-error and anecdote, and it is not a particularly useful guide to which plants we should study for which problems. Those herbalists truly committed to a scientific medical practice should work within the accepted standards of scientific evidence to validate (or invalidate) specific herbal practices, rather than trying to create a group that will exist primarily to promote and self-validate their own alternative standards of evidence. 4 Responses to Herbalists try again for medical specialty status. “If you mix cow pie with apple pie, you do not make the cow pie taste better. You make the apple pie taste worse.” Respectfully, my late Labrador would disagree. Thanks for staying current with this effort (the herb and spice credentialing effort, not the baking recipies). It’s bad enough watching boarded behavior vets speakers promoting Feliway at the required by law CE meetings as I finish my apple pie. Boarded herbalist would take the required by law CE BS to a new cow pie level. The insistence that their treatment is patient centered p’s me off, I’ve not encountered a vet that wasn’t patient centered, it’s the whole point of taking all of that training.